Additionally, you may want to view our GUIDELINES page for more info on what to expect. What is an audition like? It is not as scary as it sounds. It will take about 10 minutes. Candidates will be given a simple series of notes to hum and sing with the directors and will sing a simple song. The directors will be taking notes on breath support, diction, tone, intonation, and more. Candidates will be asked a few questions about their interest in choir. Your child will not find out during the audition if he or she has a position in the choir. When will we know the results of the auditions? Within 4 days of auditioning, candidates will be contacted to know if they have a position in the choir. What if my child is nervous? That’s okay! We all experience nerves when we are placing ourselves in a position to be judged and critiqued. Nervousness is not a bad thing. It shows the child that what they’re doing is important to them. 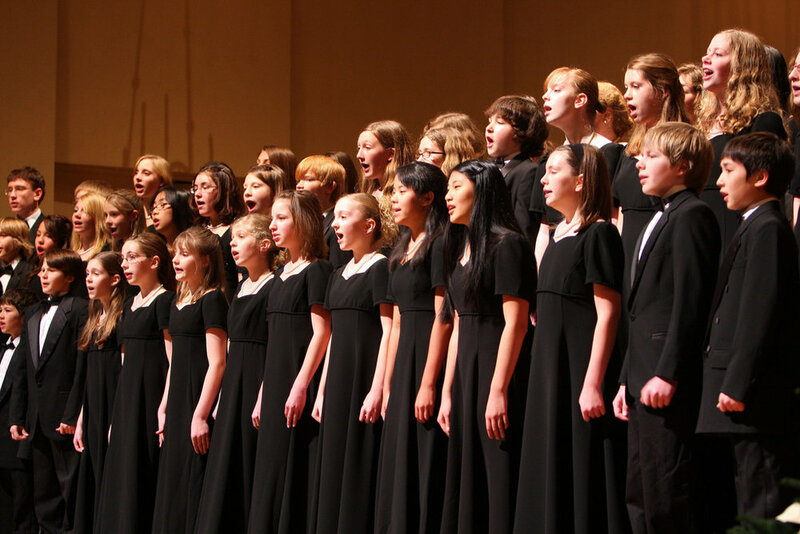 If my child receives a position in choir, what is required? The choir membership fee is $150 per semester. Candidates who are asked to join the choir will be expected to attend regular rehearsals on Wednesdays 5:30pm-6:30pm at The Music Academy where music will be introduced and practiced with the group. Choir members spend time on their own practicing during the week to memorize their parts. The choir is expected to perform at local community events (dates TBA) and recitals. What if I did not pre-register? Thats okay. Pre-registration is more convenient, but not required. You can simply come to the studio and wait for an opening. You may have a long wait, but we will still see you! If you have any additional questions or concerns, you may want to see our GUIDELINES page.